by Pierre Galand, President of the ECCP (European Committee for the Coordination of NGO on the Palestinian issue), member of the International Organising Committee of the Russell Tribunal on Palestine, Stéphane Hessel, co-writer of the Universal Declaration of the Rights of Man in 1948 and Leyla Shahid, General Delegate of Palestine to the EU, Belgium and Luxembourg. This seminar, Pierre Galand says, was organised in response to the many citizens who voiced their shocked disbelief in front of Israel going on building the Wall, in total disregard of the Advisory Opinion given by the International Court of Justice which, on the 9th of July 2004, demanded the Israeli State to dismantle the Wall and compensate the Palestinians for all the damage resulting from its construction. Yet the Resolution, which many countries signed, just goes unheeded : the Wall is now twice as long as it was at the time the resolution was taken. Switzerland, France and Algeria will hold similar seminars, P. Galand says, which will enable the RTP to keep on going between the sessions. 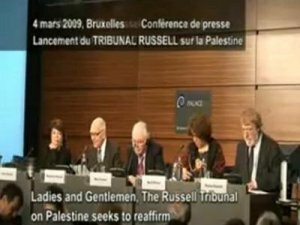 The first session of the Russell Tribunal on Palestine will take place in Barcelona from March 1-3, 2010, a town where a team initiated some hope : they applied to the Town Counsel, which offered 56,000 euros to help with the organisation of the colloquium (accommodation of the members of the Jury…), a town that is also the place where the Euro-Mediterranean Agreements were signed in 1956. This first session , P Galand says, will focus on the failures and complicities of the European Community and its State Members, which allow the continued occupation of the Palestinian Territories and the continued crimes committed by Israel against the Palestinian people . The second session will take place in London, still in 2010 and will deal with the failings and complicities of the corporations. There will be two more sessions in 2011. Before handing the word over, P. Galand insists on the importance of a wide popular support for this Tribunal to be a success. So, he says, any citizen wishing to take part in building an international society based on the primacy of international law, and in which the States act in accordance with this state of law, is welcome to this international event. Stéphane Hessel comments briefly : the worse the situation in Palestine, the less mobilisation we notice against Israel, whose present government, S. Hessel says, is the most reactionary and the most xenophobic Israel has ever known. Hence the importance to set up this court of the people, this Tribunal of conscience against an insuferrable situation, as was the case with the war in Vietnam. Leyla Shahid takes the floor now : today the baby was born, she proclaims, after 2 years of preparation work, in the course of which the organising committee has built bridges between the different chapters of the dossier and worked on what would make the Russell tribunal on Palestine different from the tribunal on Vietnam : the RTP will be decentralized (Brussels, Geneva, Paris…). That’s where Europe is, she says, not in Schuman, but in its citizens : so, the important thing to do is to create links. Leyla Shahid tells us about her friend, Nurit Peled, a Palestinian citizen who, rather than sink into despair after her little 13-year old daughter was killed in an Israeli attack, decided to work at the coexistence of the 2 people. N. Peled, Sakharov Prize for Freedom of Thought 2001, is one of the signatories of the Letter calling for the creation of a Russell Tribunal Russell on Palestine. Leyla Shahid is usually wary of being optimistic : indeed, it is not that easy to work with states that show themselves cowards, she says. But recently, there have been two little but encouraging events. First, the conclusions of the last EU External Relations Council on the Peace Process, which did not bring anything new but at least aimed to give a much clearer and sharp picture of the settlement of the Palestinian problem. With the intervention of Karl Bildt, the Swedish Foreign Ministre in the European Counsel, it was the first time a clear voice put the question as to how to guarantee the law to the Palestians. At last!… And L. Shahid reminds everybody that the choice is not to be pro-Palestinian or pro-Israeli but to be on the side of Law. Never before was there such a pressure campaign by Israel, but Sweden didn’t yield to it ! It is a small step, L.Shahid admits, but an important one knowing that, in Europe, everything is done by consensus (no minority/majority). Then there was this campaign for prosecuting the people involved in war crimes in Lebanon and Gaza, which forced Tsibi Livni to hide during her stay in London : the UK government was rumoured to have demanded her arrest : lawyers acted as citizens... This gives some hope for Palestine, L.Shahid concludes. 2. What can be the impact of a court of the people on the public opinion ? by Marcel Francis Khan (Scientist, participated in the Russell Tribunal on the war crimes committed in Vietnam) and Gianni Trignoni (Scientist, Secretary of the Permanent Tribunal of the Peoples since 1979 when it was created). Marcel Francis Khan is now going to tell about the relation of the RTP to the Russell Tribunal on the war crimes in Vietnam (RTV), as well as to other tribunals of the people for the people. 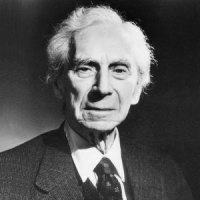 The Russell Tribunal was initiated in 1966 by Lord Bertrand Russell, Nobel Prize of Literature 1950, to investigate the political and humanitarien situation caused by the aggression on Vietnam. Gisèle Halimi -Lawyer, Former Ambassador to UNESCO (France) and Tariq Ali - Writer(UK) are the only two Members of the Jury still alive today. This citizen initiative was a real Tribunal of conscience whose aim was to heighten public awareness of the serious and repeated violations of the Human Rights in Vietnam. Indeed, no legal structure had succeeded to the Nuremberg Trials (where the full horror of the Nazi crimes found an expression, yet where the state was well was a party, which caused a certain imbalance even if the conclusions were executory.) So, it was important that a tribunal should be created to judge the crimes committed during the colonial wars (in Indonesia…). What was new this time was that the Russell Tribunal on Vietnam didn’t stand for any state. This tribunal had no legal status, no means to force anybody to appear in court nor to render executory sentences. Yet, this made it free from pressure or lobbying on the part of the states and thus allowed it to enjoy a formidable independence from political powers. In parallel, insistence was put on rigour as to the testimonies (gathered by qualified investigators, cross and never indulgent examinations of the witnesses) and their subsequent analysis. The jury consisted of about 20 people coming from 3 continents (none of them belonging to the 2 camps of the Cold War) and the USA were given notive to render their conclusions… The seriousness and thoroughness of the work allowed the tribunal to clear the media barrage. Gianni Trignoni tells us now about the impact tribunals of the peoples have had in History : if, for the first time, the Russell Tribunal on Vietnam was able to put a whole people on stage, it was still about an external people. The role of a tribunal of opinion is to give tools directly to the peoples so that they can oppose themselves and resist but also so they can build another society : overturn a system of oppression and international alliances that work at establishing another system of colonialism (= the people were completely marginal in the international law). That’s how the Declaration of the People’s Rights was set up. Palestine is a critical test for the credibility of International Law, G Trignoni says. Not to consisder the Palestinian issue as the priority of the International Community amounts to giving the impression that, in fact, there is no International Law anymore. by François Dubuisson, Law Professor at ULB, researcher at the International Law Centre and Director of the Information and Communication Law Center at ULB. Little reminder : The Advisory Opinion given by the International Court of Justice of The Hague on the 9th of July 2004 sums up the breaches of international law of which the Palestinians are victims, and which deprive the Palestinian people of a sovereign State. It concludes, in particular, that Israel must dismantle the Wall and compensate the Palestinians for all the damage resulting from its construction. What is the contribution of this Advisory Opinion ? ; F. Dubuisson asks. As far as the Wall is concerned, it clearly goes against the humanitarian international law and the rights of Man and the Palestinien people to self-determination : there is a de facto annexion of territories by Israel. The Fourth Geneva Convention fully applies to the Palestinians, contrary to what Israel says : the settlements in Jerusalem and in the West Bank are all illegal as is the annexion of East-Jerusalem. The only solution to this problem, Professor Dubuisson says, is indeed the application of the resolutions according to which Israel has to withdraw from the occupied territories, while the third party States are not to recognize the settlements and annexions by Israel, not to give assistance or help with the construction of the wall, respect this convention, in other words not to stay passive in front of the civilians killed, the confiscation of lands, the settlements on the Palestinian territory. 1. an obligation not to recognise the illegal situation : formally, the States have come down against the annexion and the settlements (except for the USA who speak of « facts on the ground », (see letter between Bush and Sharon). Yet nothing happens on the field. 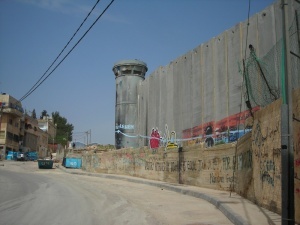 2. an obligation not to render aid or assistance : there hasn’t been any direct help with the construction of the wall, but financing, weapons sales to Israel, contributions to strenghtening Israel’s hold on East-Jerusalem (ex the City-Pass, with the support of France)... food for examination work for the RTP. 3. an obligation to have the right to existence respected : there have been only formal steps, of which a report by Switzerland on the means to have Israel respect the Fourth Geneva Convention (- quite disppointing indeed : some were ready to allow a moratorium to Israel ! ), the Register – organisation that records the complaints of the Palestiniens who have suffered from damages caused by the construction of the Wall – difficult to bring into play if there is no collaboration with Israel. Yet, F Dubuisson notices, some diplomatic decisions simply go against all this : see, for instance, the recent « upgrading of the EU relationships with Israel ». How can we influence the third party States to demand counterparts on the part of Israel as to the respect of International Law ? On the 17th of July 2004, the General Assembly of the UNO adopted a resolution stating the measures to be taken : that’s where the work of the Russell Tribunal on Palestine begins, Professor Dubuisson concludes. by Desmond Travers, co-writer of the « Goldstone-Report », Member of the IICI (Institute for International Criminal Investigation) and Paul de Waart, Professor of International Law, Amsterdam, Member of the Independent Committee for the Establishment of the Facts in Gaza. The facts that led to the constitution of such a tribunal have been thoroughly scrutinized in numerous reports by international organizations as well as by reputed and credible NGO, Desmond Travers says. The two latest reports were the Goldstone-Report by the UNO Mission for the Establishment of the Facts in the Gaza Conflict and the report by the Independent Committee for the Establishment of the Facts in Gaza, which was submitted to the Arab Ligue. The Goldstone Report concerns itself with the Israeli force in Gaza. Our mandate, D. Travers says, was to investigate all the violations of the International Human Rights that might have been committed at any time in the context of the military operation that was conducted in Gaza during the period 27/12/2008 – 18/01/2009, whether before, during or after it. Military events prior to the Cast Lead Operation were examined : the rocket launches by the Hamas and other groups to Sderot, in the south of Israel, though sporadic, ineffective, were condemned as “hostile” as they created trauma, economic hardship and stress to many people. (for ex, we heard a victim who had had reconstructive surgery to his face). A troubling incident is the bombing of the Alquz hospital and of the ambulance park : 29 vehicles were destroyed, 16 drivers killed, 16 injured. Again, Israel’s argument was that the ambulances were used by the Hamas to convey troops, but we didn’t find any, D.Travers says. Other ambulances were confiscated while fetching injured people, to serve as targets for training of the Israeli soldiers… The most dangerous occupation in those days was to be a medical practitioner, D. Travers comments. There was also the destruction of the USA International School (as a message to the USA ? ), the humiliation of women and children, retained for hours on the ground in foetal position. But the most troubling form of attack was the use of white phosporus, a volatile chemical that is forever active once in water and ignites when taken out of water. 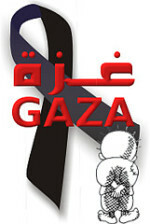 It was discharged to terrorize the population in Gaza and it injured lots of people. Then there was the use of tungston, which is carcinogenic (so potential future victims of cancer), the use of fléchettes designed to tumble once inside the body. These weapons should be removed from all armies, D Travers says. The task was difficult, we got no cooperation from Israel in our investigation but this report is the truth, Desmond Travers says. It conveys snapshots of what we have found in Gaza. We analysed 10.000 interviews, examined 1.200 photographs and read many books and reports before arriving at our decision : one of the prior concerns of the international community should be the destruction of Gaza as an environment for suitable habitation. Paul de Waart tells us now about the report of the Independent Committee for the Establishment of Facts in Gaza, which was presented to the Ligue of the Arab States on the 30th of April 2009, and which the Palestinians accepted as well. The report is based on the definitions of war crimes as contained in the Rome Statutes, P. de Waart says. We noted the facts on the spot, yet couldn’t notice the effects of the rockets launched by Hamas on the Israeli territory, Israel having denied us entry. P. de Waart then analyses the need for the recognition of Palestine as a State, in the same way as the Arab Ligue as well as more than 80 countries in the world did. If the Secretary of the UNO accepted the Arab Ligue as a regional member of the UNO, P. de Waart explains, Palestine would then have a statute and could be taken into account. Nothing in the Rome Statute forbids it : it welcomes all the states of the world, even if they don’t belong to the UN. Anyway, P.de Waart adds, to be a member of the UNO, you just have to be invited. If Palestine subscribes to the Rome Statute (as 130 other countries have), its relations with Europe would be different : the International Court of Justice would then be competent and could then render a judgment since Palestine would fall within its juridiction. This would mean that this country would get its power back, P. de Waart says. The RTP, P. de Waart concludes, could work at it, follow the opinion of the Arab Ligue and contribute to building a dossier to clarify the Advisory Opinion as to the effect of the Wall on third party countries. Stéphane Hessel (Ambassador of France, Membre of the International Support Committee of the RTP) briefly takes the floor to insist on the extraordinary courage of the inhabitants of Gaza. During his visit in June 2009, he could notice the work they had done to clear the streets of the rubble, put the population back to work, reopen the Museum to the kids to keep on showing them they are living in a land that is really exceptional in World History, children that are proud of theircountry and will be there to rebuild it if they are given the means to, which at the moment are lacking..
Again, he insists on the total objectivity of the Goldstone Report, which didn’t hesitate to mention the rocket launches by Hamas on Israel, even though they caused minor damages, in proportions that don’t bear comparison with the ravaging devastation Israel caused in this little 360km²-large strip of land that Gaza is. This time, he says, Israel has gone too far. When that happens, the Internationale Community can’t sit idly by. François Dubuisson doesn’t hesitate to say that as far as the products coming from the settlements are concerned,the question shouldn’t be « should they or not benefit from a preferential treatment » but indeed «should these products be at all admitted on the European market ? ». Going on trading them amounts to giving recognition to the settlements even if indirectly. Leyla Shahid quotes the Israeli historian Shlomo Sand : « I have the feeling I don’t recognize my country anymore and that we are on the verge of terrible political transformations », and he was referring to what was in the air before the 40-45 war. We are all concerned, she says, because we all know what is happening in Palestine. In 1998, Arafat was supposed to declare a state after the Oslo Agreements, the Europeans said to him : “If you declare the State of Palestine unilaterally, it will be difficult for us to recognize it. Postpone that to a more appropriate time!”. When we asked to be part of the Rome statutes, they said “We have to see, bring us proves that in the eye of the community you are de facto a state’”. But we were only a-state-in-being… In 1999, the Palestinian Foreign Minister was prohibited from attending the conference in Switzerland, because Palestine was not a state… It is impossible to change the applicability of the laws. The struggle of the people should go together with the legal struggle : that is were the work of the RTP is important, Leyla Shahid concludes.
" I blame you, Ministers and Members of Parliament for remaining deaf to the alarm bell that is sounded by the international community and other authorities of high reputation!… Israel has been the bully of the Middle east for years, a bloodthirsty dog that you keep cuddling as a teddy-bear… You should be concerned by the injustice inflicted to the Palestinians… This crisis is taking catastrophic proportions !”, Dries Van Agt claims. He briefly mentions the different factors that play a part in today’s attitude of the different governments : first the strong sense of guilt with regard to the Holocaust. As far as the Dutch are concerned, they didn’t protect the Jews as much as they imagined they had. So now there is that moral debt that makes them support Israel, which was created for the survivors of the Holocaust. Then there is religion : according to the Bible, God has arranged for the Jews to take their homeland back : the notion of the Promised Land is still prominent in people’s mind. 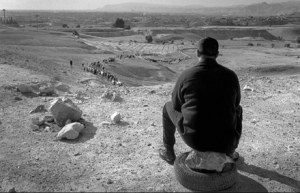 Three conditions were imposed on the Palestinians after the 2006 election of Hamas. Yet nothing has been asked from the occupier, Israel. 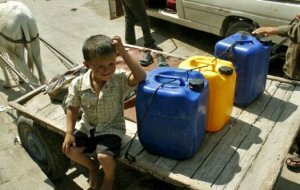 After the devastating report about Gaza, all the other reports (by Breaking the Silence, or Amnesty International about the life-threatening water shortage in Gaza…) were disregarded, discarded. "Shame on the irresolute, doddering attitude and biased behaviour of the UE. There was a call for an increase of the humanitarian help but no indication as to what the EU would consider in term of sanctions in case Israel just went on with its policy of expansion!… We missed opportunities to make use of our economic power", D. Van Agt repeats. As for Obama’s promising start in Jerusalem, it just got an insulting, disappointing flat “no” from Israel. He is now strangled by Washington’s policy, D. Van AGt notices. "But why didn’t the UK, France and other permanent members of the Security Counsel take immediate resolutions to stop Israel? Knowing that they most probably would have had the implicit/explicit support of China…" D. Van Agt can’t help wondering. The more the two-state solution is supported outside (namely by the EU), Jos Geysels goes, the least the Palestinians want it, which is all too understandable seeing the massive scale of the settlements and of the blockade on Gaza. Keeping calling this solution to mind is the proof of Europe’s lethargy, which is coupled with a certain cyniscism. 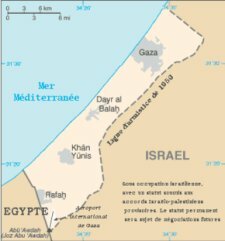 To all the politicians and journalists who go on appealing to the symetry of the situation of the two parties («two people fighting for a safe place to live in ») , J. Geysels recalls how prescisely asymetric the situation is : on the one hand, the Israeli were allowed and even helped to found their country on 78% of the historical Palestine immediately, on the other hand the Palestinians are still waiting for permission to do so on the 22% left to them by the occupiers. 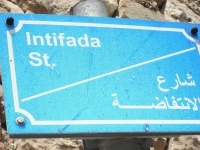 Not only is it impossible to deny this asymetry, but we have to refer to International Law against Israel : of course Israel has the right to its security, in the same way as Palestine has the right to self-determination, but only in compliance with intenational law as embodied in the Fourth Geneva Convention ! Another asymetry : Europe put conditions to its collaboration with Palestine (battle against corruption, etc…), yet put none towards Israel, although it might be a positive leverage to have the Israeli State comply with international law. The problem J Geysels says, is that there are cleavages between the different operational policies : in 2004, for ex., if many criticisms were levelled at the Wall, in parallel there were negociations with Israel, bilateral agreements between Europe and Israel, which the latter applied to the settlements without the European institutions taking steps to prevent that ! When carrying on such a policy of tolerance, J. Geysels comments, Europe shows but very little coherence and this is a signal for Israel, by which it creates erroneous expectations. Europe fools itself when it keeps thinking that the settlements are not the stumbling block towards peace. What can Belgium do ? These last few years, belgium has contented itself with a rather humble role : in 2008, for ex., it was one of the countries that pleaded in favour of a link between the upgrading of the relations Israel asked for and progress in the peace process (the upgrading was frozen). Belgium also supported the Swedish proposal to recognize East-Jerusalem as the capital of Palestine. Belgium can always be a driving force with the bilateral agreements and see to it that there is no bargaining with the international law. It can always be active : so, for ex, a Belgian delegation has left at the end of this year (2009) to Gaza in the context of the Gaza Freedom March organised by a coalition of organisations and associations against the illegal blockade on Gaza, which is nothing but an inhuman collective punishment in this winter period, J Geysels comments. Belgium can always speak clearly. Indeed, as long as Israel doesn’t get any clearer messages, il will go on with and even refine its policy of expansion. The Goldstone-report is a first step towards more justice. A certain number of dissenting, sometimes quite haughty voices were raised against this report inside some intellectual circles. But now is the time to give the explanations we owe and make things change in the outlaw zones. « Laws and obstacles stand between acts and dreams », a Flemish poet says, political obstacles. Compliance to the International Law should take a restricting form so as to limit the cleavage between dreams and their realisations. And if the legal approach (through the RTP, for ex) can’t replace the political approach, at least, it serves to express hope, the speaker concludes. The boycott card is essential, a French militant lawyer from Corsica says, but France has come up again with an old law preventing militants to act on the pretence that boycott is an « economic discrimination ». Legislation serves here as a prestext to hinder civil wociety from expressing itself. An absolutory excuse should be created each time a legislation forbids the boycott of a country that doesn’t comply with national and international law, he concludes. Leyla Shahid answers that, indeed, one should know what comes first : economic law or European law ?She reminds us of the decision the Prosecutor of the High Court in luxemburg took in the « Brita » case (the firm was trying to export Israeli products as preferential products to Germany) : that is indeed, she repeats, where the citizens can interfere, so that law is not different from its implementation. German militants now have to face Angela Merkel who recommends a total support for Israel and makes of Palestine the scapegoat for all the trouble. Luc Beyer, Member of Parliament, speaks of the schizophrenia of the European Deputees : 16 Germans rose up against Israel’s policy, they are all retired now. Those who are still in place have far less freedom of speech. Moreover, the EU Ambassadors don’t utter the same words when they are in Tel Aviv (Israel) as when they are in Jerusalem (Palestine), while representing the same State. Finally, Karel de Gucht (Belgian EU Foreign Ministre) was the only one to stand against the upgrading Israel asks for, contrary to France which made an unpleasant vote. Couldn’t we talk of « Sionism » as a basis to launch the Boycott campaigns in the same way people talked of Apartheid, which is recognised as a crime against mankind ?, somebody asks. Couldn’t we be more coercive ?, another wonders. Leyla Shahid reacts. She is worried after Obama’s speech in Stockholm : the Peace Nobel Prize spoke of a « fair war »... That’s exactly where the Russell Tribunal on palestine has all its importance and worth : it gives the possibility to the citizens of the world to exert a non-violent and non-military coercion and it doesn’t only judge the perpetrators of the crimes but also the respectability of our governments, which owe us explanations : their accountability will be examined. L.Shahid says she has no right to examine the peole of the EU since she is not a European citizen. It is our responsibility to do it : it is a matter of truth being told, Israel is the blue-eyed boy of the EU, it even has more priviledges than the EU members. It is because our governments consider Israel as above the laws that the RTP has such a value. It is not illusory to believe that it can help chnage things because Israel hopes international law will be thrown overboard. Giving up on appealing to law amounts to giving up our rights. We should all do as the palestinians do : keep demanding the right to law. It is impossible to do something serious that has an international notoriety if we can’t afford it, Pierre Galand says. There must consequently be repercussions of the work done by the RTP in the whole world through the media as well as an importtant popular mobilisation. The project of a Russell Tribunal on Palestine was announced on the 4th of March 2009 by Ken Loach , filmaker (UK) in front of 26 journalistes. Cration of an Ethics Committee, appeal to renowned personnalities who will ensure the RTP an even wider stir, creation of National Committees (in Belgium it brings together Trade-Unions, socio-cultural organisations...) in France, Spain, Portugal, Italy, Ireland, germany, Holland and soon in Israel, South Africa, Algeria, Chilie Congo…) so as to create a popular support throughout the world, a relay for an initiative that can’t be confined to a debate between experts. 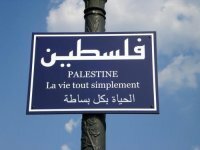 Choice of the name of the projet : « on » rather than « for » Palestine, because the RTP wants to reaffirm the supremacy of international law. « Tribunal », not as criminal procedure but as an organ for the promotion and defence of international rules. The RTP will identify all the failings in the implementation of the international law and will condemn all the parties responsible for these failings, in full view of international public opinion. The Jury will be composed of 9 people, experts in the international law, international political or cultural personalities who will give the RTP its legitimacy and notoriety. During the First Session (which will take place in Barcelona), this Jury will hear experts and witnesses of the breaches of the law so as to build the accusations of complicities and failings by third party States. The countries whose institutions will be called into question and examined will be informed in January 2010, in case they want to be represented or defend their arguments in front of the experts. Opening of the work in March 2010 : the charges against Israel will be summarized, then clarified with the help of documents such as the Advisory Opinion of the Court of Justice of The Hague, the Golstone Report and the Report for the Arab Ligue. The synthesis will cover the period from 1999 to 2009, period during which Europe made a number of promises to the Mediteranean countries and to Palestine. Six subjects will be examined : the right to self-determination, the issue of the settlements, the question of Jerusalem, the question of the Wall, the question of the natural resources and the question of the association agreements. (The question of the refugees doesn(t fall within the failings of Europe). These themes will be examined in accordance with 10 of the conventions which all the interveners have signed : they will serve as the guideline for all the subjects dealt with. A financial support is of course needed(90,000 euros) so the RTP has a political and mediatic effect, as well as an impact on the USA. The Catalonian team, P. Galand says, has done a wonderful job together with the Town hall of Barcelona which has released 56,000 euros for the organisation of the RTP (invitation of the experts and personalities who have accepted to take part in the RTP,...). The 2nd session will take place in London, still in 2010. The 3rd one in South Africa, the 4th one in America (USA + ONU). 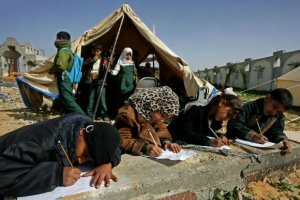 by Sergio Mosangini, member of the Spanish association network « With Palestine in our heart», spokesman of the Belgian and Catalonian Committee for the Barcelona session and Paul Troop for the British Committee on the future London session on the complicities and failings of the corporations. Sergio Mosangini briefly introduces the work context of the Spanish association network : exposure of the crime of Apartheid and support of the boycott campaigns. The common concern is double : first reaffirm the primacy of international law as the basis for the settlement of the Israeli Palestinian conflict particularly as we are faced with the current manipulations and complicities. The States seem determined to prevent us from having access to it, he says : in Spain, for ex, because of the pressure of Israel, we witness a change in attitude as to the idea of a universal justice. A number of initiatives having been stopped, there is little left than seeing to it that law is taken on by civil society. The second concern is not to point only at Israel, but show how much its total mpunity is the result of the lack of political will of the international community, and the European states. This RTP, S. Mosangini insists, is indeed the result of an international network. One of the main tasks of the Spanish Committee is to collect a maximum of signatures of other associations than the Spanish ones in order to be as representative as possible and that way, avoid the reductionist and penalizing view the media would otherwise have and give of it all. Another task is find this access to the media, another is to set up a Committee of experts. The ambition is to bring along 200 personalities, among whom people from Africa and Latin America. 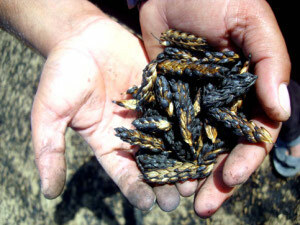 The second incident is linked to the settlements. There is no question they are illegal : Palestinian land is used by Israeli to grow products that are sold here. Last week, P.Troop says, under a lot of pressures from the civil society, the decision was taken to demand these products to be “properly labelled”, so the consumers can know what they buy and have the opportunity to influence corporations. Indeed, P. Troop says, next to the crime of silence, there are businesses being established in the settlements, corporations involved in building insurance, companies providing weapons, bulldozers… to Israel. As ex1 and 2 above show, legal and political action is possible and we do need to act against what is illegal. There is a committed and organised Committee in London, P. Troop says, none of them professionals (all have their own job). We are working on seeking funding, we have sent experts and jury members to Barcelona and are preparing the future session of London in which the complicities and omissions of the corporations will be examined. Announcement is made of the creation of a National Committee in Germany. The conditions are difficult, we are told : the fact is Germany held up to ridicule the Rights of Man in 39, but it is not an excuse to do it again ! There is whole job being done as to an education to the human rights inside the schools and more generally in the German society but the army is again losing sight of the limits of the Fourth Genava Convention and the orientation line azdopted by the media is problematic. The French National Committee announces collection of 5,000 euros to help with the organisation of the RTP. Shouldn’t the RTP ask for Hamas to be crossed off the list of the terrorist organisations ? Yes, Pierre Galand answers, the Europeans were led by the nose in the constitution of this list. The right to resist exists, see the Resistants in France during WWII. 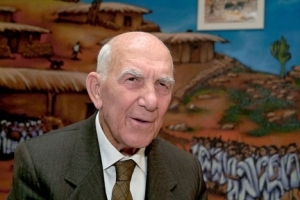 by Stéphane Hessel, Ambassador of France, former prisoner in a concentration camp, co-writer of the Universal Declaration of Rights of Man in 1948, member of the International Support Committee of the RTP. "We are all fully aware of the breaches committed by Israel, the USA, the UE. We know them now in detail, see the Goldstone Report. For years, we have kept our eyes shut, but now, time is over : responsibilities have been clearly established, this is a real progress ! ", S. Hessel proclaims with enthousiasm. "Another progress, a sad one this time, is that Israel has gone too far, beyond what is acceptable. it has gone beyond the the limit where we could still find reasons or excuses for its deeds. It is important now that we take actions, for the Israeli people themselves. It is a mistake to make them irresponsible. We have now to come to the law. That’s what the RTP will do"
S. Hessel’s last word : the RTP is a model of what involved citizens can do to make unsufferable things change.